I loved watching Old Hollywood movies when I was a kid. The 30s and 40s seemed like more than a different era, but a different world. A world where people dressed up, wore hats and gloves and had a natural air of elegance about them. Times have clearly changed and now fashion has become much more casual. So casual, in fact, that women can sometimes feel overdressed when they are simply dressed nicely. Lessons from Madame Chic debuts in simplified Chinese this week. 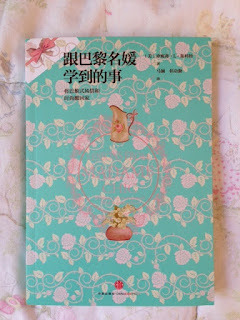 I just love the cover, so feminine and exotic. 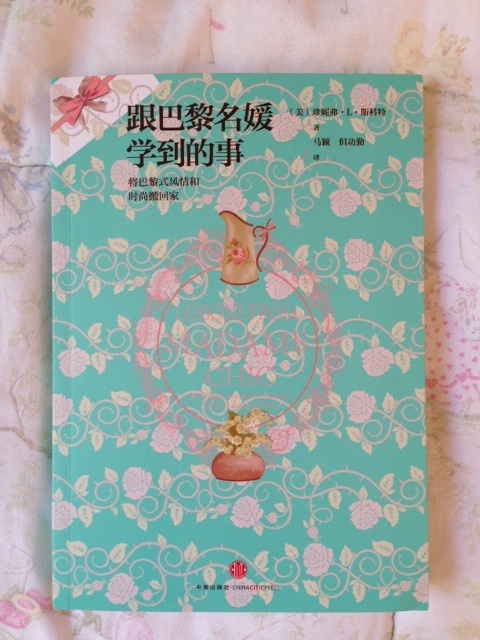 I'm looking forward to connecting with my Chinese readers! Your book has lead me to really analyze so much more than my wardrobe. Just in the last few weeks I've gone over my kitchen and bathrooms as well. I have to say I'm starting to feel freed up. Why do I keep all these towels that I cringe when I look at them? Why do I have three jars of pickles? Why do I keep these socks I haven't worn in five years? WHY!? I can't even come up with an answer except that I feel guilty getting rid of stuff. But the "stuff" is making me crazy. I'm thinking and taking my time with purchases and waiting to make sure of what I want and NEED. I'm being mindful. Mindfulness is not natural state for me, but everyday I try. Please continue on your crusade. Do I Get Bored with my Capsule Wardrobe? In this installment of reader questions answered, I'm addressing a question that I get all the time: Jennifer, don't you get bored with your capsule wardrobe? And the long answer... well it has a lot to do with our constant need for variety in our modern society. If you find yourself constantly feeling 'bored' with your clothes, it might be time to question your thought process and revive appreciation for what you already have. Good Morning! I have a story for you that shows how your book is influencing complete strangers' lives...My aunt gave me your book for Christmas, because she knows how I love the French and their way of life and thought this would be a fun read. I took a lot from it, reminisced about my own time in Paris, but the one that hit me the hardest was the china! The more I thought about it, the sillier I felt...only using it on special occasions and for company, but not my own children/husband who are the most important people to me in the world! Anyway, I started Sunday night dinners for us (my kids are ages 8, 7,4, 10 months) in the dining room, (French food of course) china and all. We are having so much fun and the kids really look forward to their fancy Sunday dinner with French BREAD (a must). If that weren't enough, I saw a contest for "The Family that Breaks Bread Together, Stays Together...Tell us your Story" sponsored by a regional bakery here on the East Coast. So, I entered our Sunday night story which we have done consistently for six months and we won! I now get free weekly bread deliveries and they are filming us for a commercial! I'll send it to you after they film it in July. I thought you should know how you have inspired my family and to say quite simply, thank you! Congratulations Emily! We are so happy for you and your family! Thank you for your great response to last week's video, What's in my Fridge? I really enjoyed reading what food you keep in your home. I'm going through a whole reinvention process with how I cook, feed my family and organize the kitchen (which, of course, I'll share with you in the future) and it was fun for me to do the video. To continue the theme of home tours, today's video shows you my patio garden. I keep container plants: roses (Mr. Lincoln and Double Delight— my two favorite! ), camelia, jasmine, geranium and vines. I find with container plants that frequent fertilizer is necessary for them to thrive. I use an organic plant food from my local garden center. Our patio space is compact but we get a lot of enjoyment from it. The scent from the jasmine and roses is quite strong this time of year and wafts into our bedroom like perfume— it's really lovely. 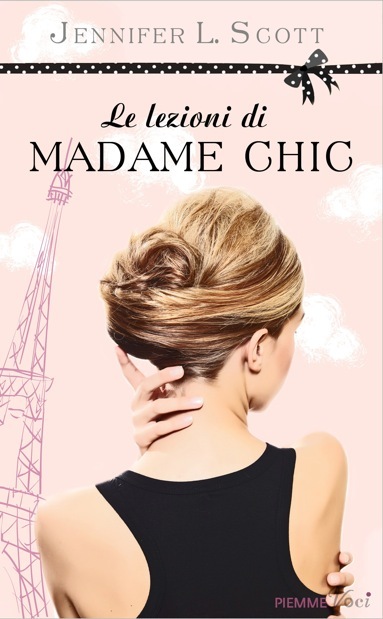 Le Lezioni di Madame Chic was published in Italy last week by Piemme. Ciao Italia! I'm enjoying hearing from my chic Italian readers and look forward to connecting with you more in the future! 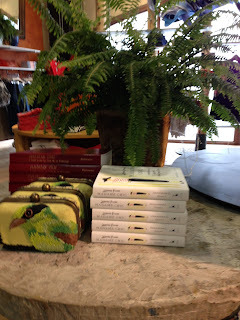 Walking into my local Anthropologie yesterday, I was so proud to see Lessons from Madame Chic displayed on their front table alongside Ines de la Fressange's Parisian Chic. Back in the beginning when I was trying to get my book published, a literary agent told me it would never happen because Ines' book had just been published. So glad I didn't listen to that advice... there is clearly room for both. Please let this be a reminder to all of us to follow our dreams— no matter how many people try to dissuade you. Thanks to my facebook friends for all of your encouraging feedback and support! Lessons from Madame Chic is described as teaching 'subtle panache' in July's issue of Vanity Fair in an article that discusses the French woman genre phenomenon. It's an interesting article and a great mention. On newsstands now! In this week's video I show you the contents of our refrigerator on a typical weeknight. We are a family of four with my husband, my toddler, my baby and me (oh yes, and Gatsby! ), so the contents of the fridge reflect all of our likes. For example, my husband loves the Skippy smooth peanut butter and won't have anything else. Same with the Yoplait yogurt... I have a few musts as well. You'll also notice the Bio-K probiotics I have. I find that since I started drinking this friendly bacteria my digestive health has seriously improved. Also worth noting are our two drawers of vegetables. We receive a vegetable box once a week delivered fresh from our local farm (Farm Fresh To You for those of you in Los Angeles). I love getting creative with ways to cook the seasonal veggies. At the time of shooting this video there is no meat in the fridge. We usually eat meat (fish, chicken or a roast- a must for my husband!) around three times a week and I try to buy it as fresh as possible. This week I would love to know... What's in your fridge?